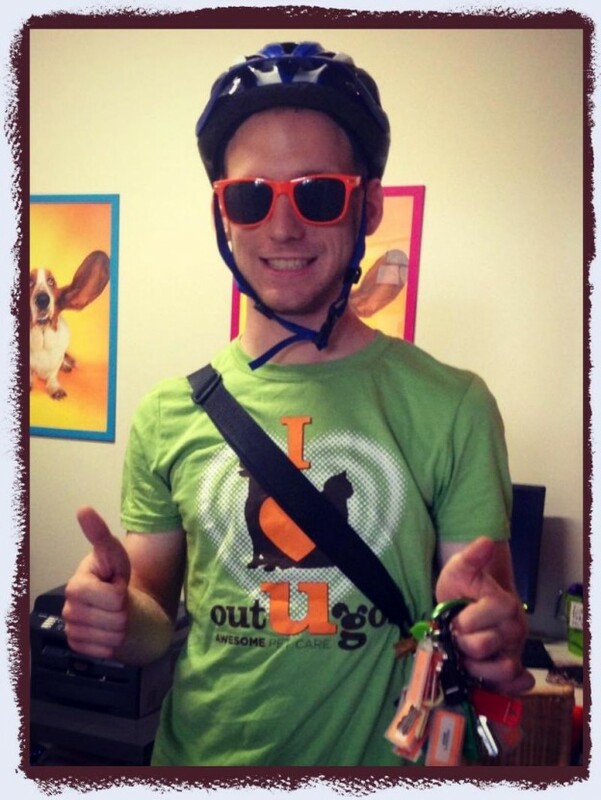 Our awesome Wicker Park pet sitter bikes his way into the hearts of your four-legged friends! Chicago dog walker, Scott, is one cool cat. My Superpower Would Be: To see through the eyes of pups & kitties! This entry was posted in Chicago Catch and tagged Chicago, dog walkers, Pet Sitters, pet sitting, Wicker Park on September 10, 2013 by Laura Rumage. 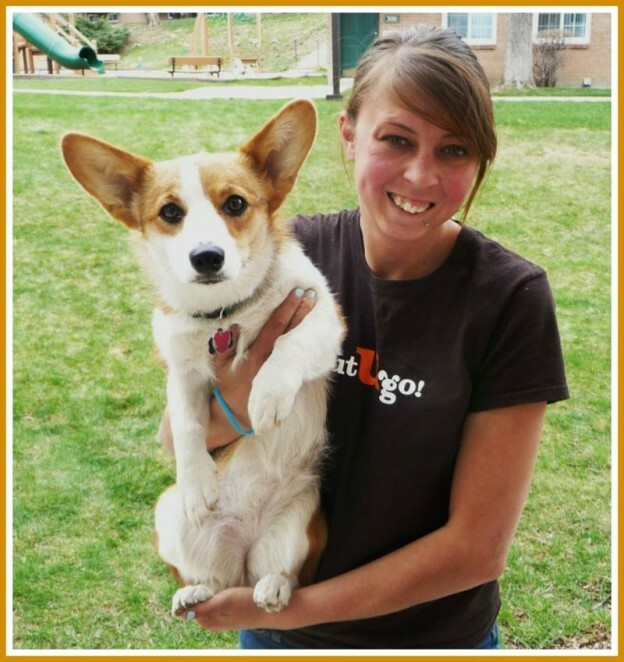 Meet Madison Pet Sitter Extraordinaire, Emily! Meet Emily and her wiggly pal, Walter! 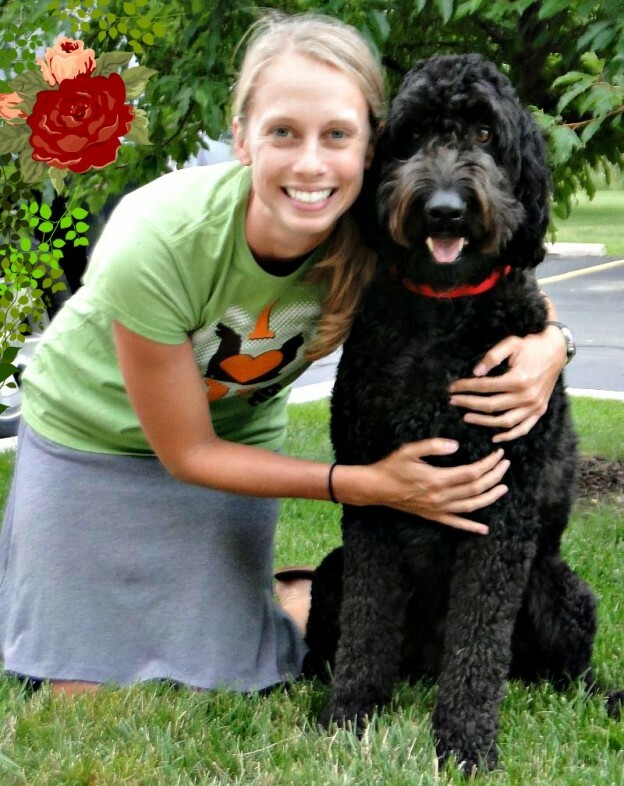 When Emily is not working as a Special Education Teacher, she is pampering your pooches with love! I’m in charge of: Giving out lots of love to doggies and kitties in the form of belly rubs, walks, and treats (even if Walter is suspicious when I get home)! Super power: Flying and being able to read Walter’s (or any pet’s mind)… most of the time anyway! Best Thing Ever: My first alarm going off and Walter jumping into bed to cuddle – nose one inch from my face. Hidden Talent: Singing every song on the radio in perfect pitch and key – only when driving by myself. This entry was posted in Madison Mutts and tagged Madison, Pet Sitters on September 5, 2013 by Laura Rumage. I’m in charge of: Hanging with your “kids” while you’re off on an adventure! My furry family: None as of now. All the more reason to hang out with yours! Super power: Flying. I hate airports. Hidden Talent: I can do a mean Irish Jig. Best Thing Ever: Thunderstorms in the middle of summer where the rain is warm. Best. Ever. This entry was posted in Madison Mutts and tagged dog walkers, dog walking, Madison, Pet Sitters, pet sitting, Wisconsin on July 24, 2013 by Laura Rumage. Meet Madison Pet Sitting Superstar: Robin! 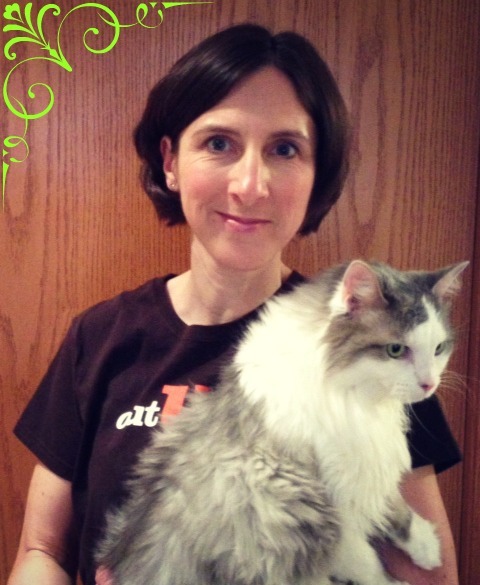 Learn a little more about our Madison pet sitting superstars! 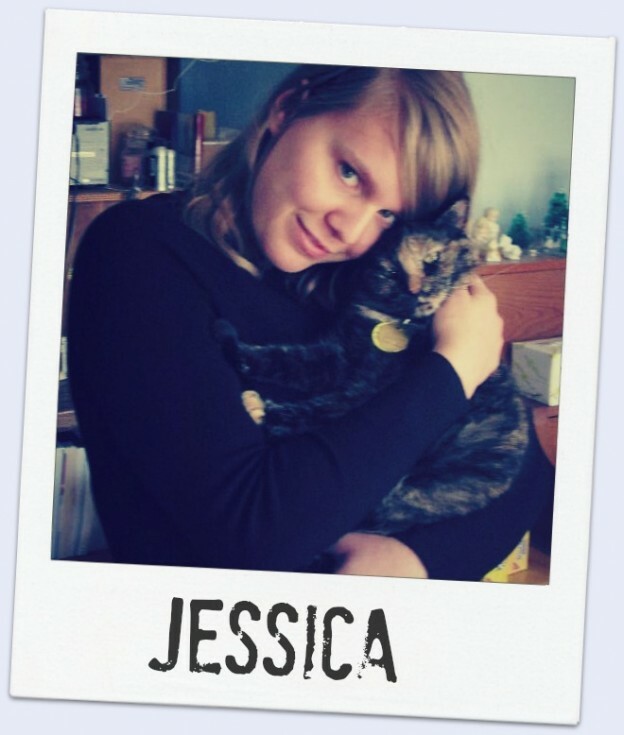 Robin, specializing in cat care, is already becoming B.F.F.’s (your Best Friend’s Friend) with Madison area pets. I’m in charge of: Kitty Care! I dispense treats, chin scratches, and lots of love while pet parents are away! My furry family: 13 year old Zoe, who keeps my head warm at night, and Gracie, a 2 year old Snowshoe who loves to play tag with us! Super power: I would love to be immune to tickling. Best thing ever: A long walk on a warm summer day. Life philosophy: There is no problem so great that a good truffle cannot solve. This entry was posted in Madison Mutts and tagged cats, Madison, Pet Sitters, pet sitting on May 15, 2013 by Laura Rumage. 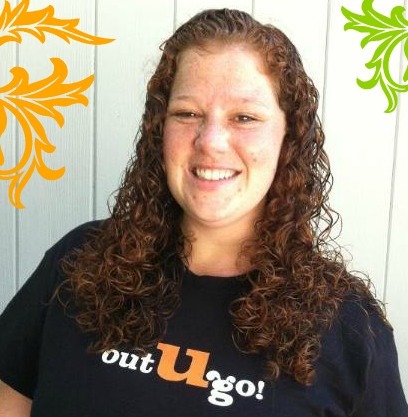 Join us in welcoming a brand new member of the OUG! Tally Team! 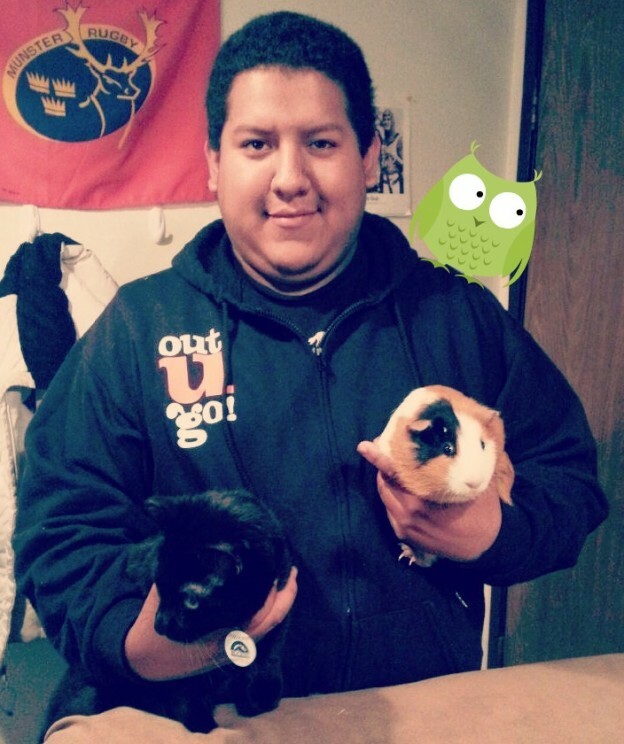 Richard is a herpetologist that comes to us from the Indianapolis Zoo, where he took care of reptiles, birds, and small mammals, including the meerkats!! I know…the MEERKATS! Pretty darn cool, huh?! He also has loads of experience of the canine and feline variety. 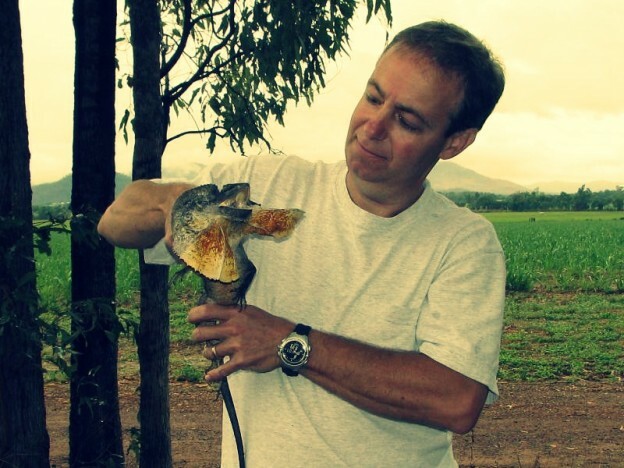 So, good news if your best friend happens to be a frisky, tail waggin’ sun-loving frilled lizard…’cause Richard has it covered! Honestly, just when I thought the Out-U-Go! 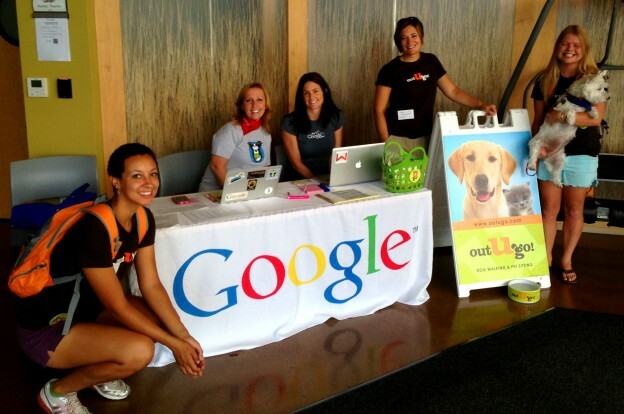 Tallahassee Pet Sitting team couldn’t get any better, they go and get better. This entry was posted in Tallahassee Tails and tagged Pet Sitters, pet sitting, Tallahassee on May 15, 2013 by Laura Rumage. Meet Oak Park Pet Sitting Superstar: Owen! 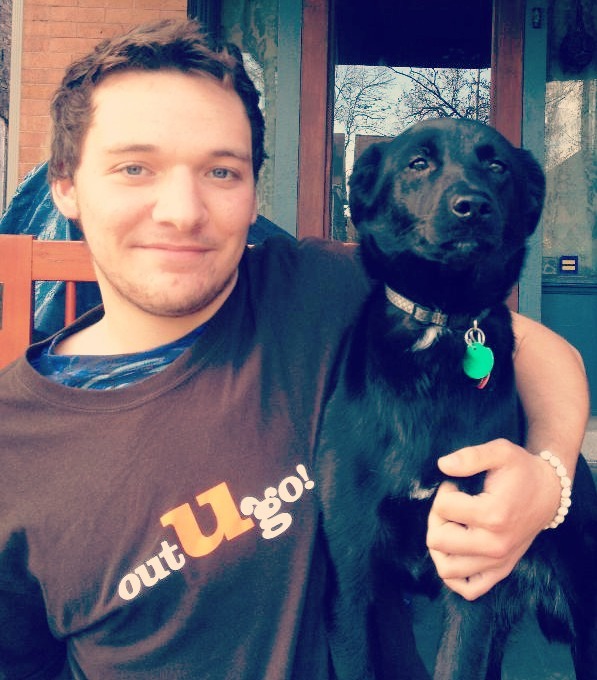 Meet our featured Oak Park pet sitting superstar, Owen! Owen dog walks mostly in Forest Park, where is he B.F.F. (Best Friend’s Friend) to many of your happy pups! My furry family: My Pharaoh Hound and Lab mix Luca; she’s two years old. Life philosophy: We’re all human and we’re each trying to make it in our own way, so respect the unique ways in which one another lives their lives. This entry was posted in Oak Park Pupdate and tagged dog walking, Oak Park, Pet Sitters, pet sitting on May 14, 2013 by Laura Rumage.